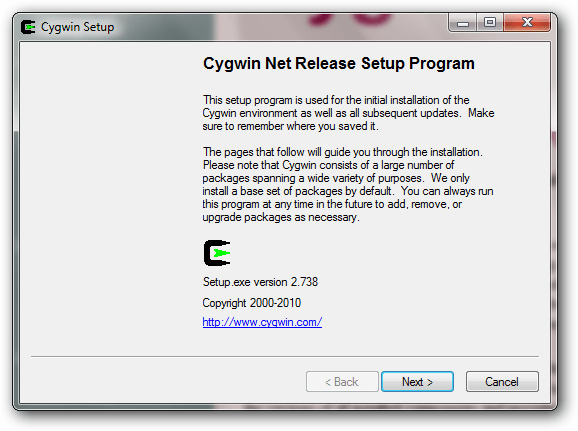 Cygwin comes with a normal setup.exe to install in Windows, but there are a couple steps you will need to pay attention to, so we will walk you through the installation. 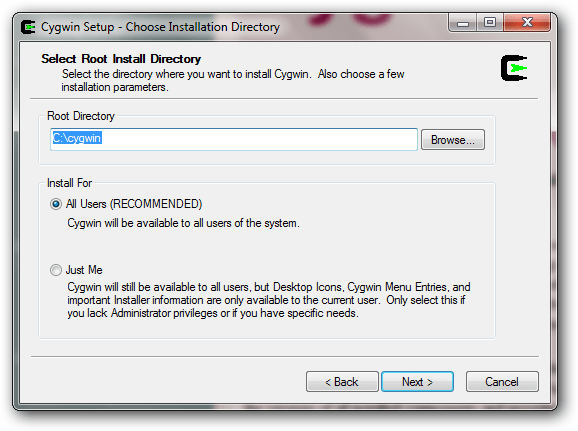 To keep the installation small while saving bandwidth for you and Cygwin, the default installer will download only the files you need from the internet. Click next until you come to a download mirror selection. Unfortunately, the installer does not say where the mirrors are located so in most cases you might as well just guess which mirror works best. 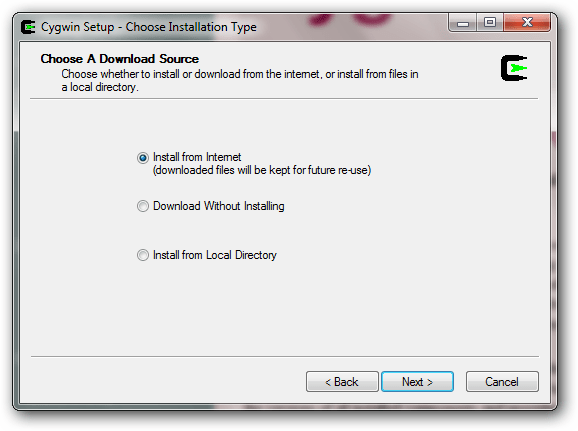 After you have selected a mirror, the installer will download a list of available packages for you to install. Here is where things get a bit more intimidating. There will be hundreds of packages available separated by multiple different categories. If you don’t know what the package is you can leave the default selection and install additional packages later by running the installer again. If you know what package you need, you can search for it and the results will be automatically filtered. Once you click next, it will take a little while to download all the selected tools and then finish the installation. 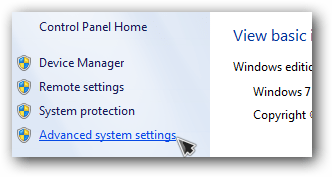 From the advanced tab, click on environment variables at the bottom. Then in the system variables, locate the path variable and click edit. 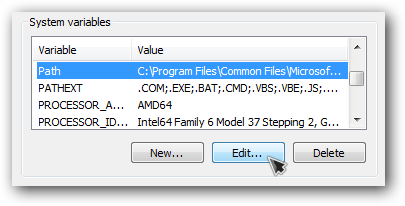 At the end of the variable value option, add the Cygwin bin location like so. Note: Make sure you add a semicolon to separate it from the other values. Click OK to close out of the window and then open a command prompt to test out a few Linux commands.